British Prime Minister Theresa May says she has started meeting leaders of opposition parties about Brexit and called for politicians to “put self-interest aside” and find a consensus on Britain’s path out of the European Union. May spoke outside her 10 Downing St. residence after her government narrowly won a no-confidence vote in Parliament on Wednesday evening. She has been meeting with leaders from rival political parties in a bid to break Britain’s political impasse over Brexit. On Tuesday, lawmakers resoundingly rejected the divorce deal May’s government struck with the EU; the prime minister has until the start of next week to come back to Parliament with a Plan B.
France’s parliament has adopted a law allowing for emergency measures to deal with Britain’s March 29 exit from the EU. The National Assembly voted Wednesday on the final reading of a special law drafted to handle a “no-deal” Brexit. The law includes things like extra customs officers after Brexit day, and a temporary rule allowing Britons employed in France to keep their jobs after March 29 even though they will no longer be EU citizens. European Affairs Minister Nathalie Loiseau called for calm, but stressed the importance of having a contingency plan. Supporters argued the French law was especially necessary after the British Parliament on Tuesday overwhelmingly rejected a divorce deal negotiated between the U.K. government and the EU. That deal had laid out ways to smooth over the transition. Without a deal, it’s unclear how both sides will handle cross-border trade, finance and travel when Britain leaves. A top French border police official says checks of the English Channel for illegal immigration won’t change after Britain leaves the European Union on March 29. Franck Toulliou, the second-in-command of France’s Air and Frontier Police, said French authorities will continue monitoring freight trucks that migrants try to hop in Calais before the vehicles enter the tunnel that leads to England. French maritime authorities are also cracking down on boats carrying migrants, which the area has seen a recent spike in. In an interview with The Associated Press on Wednesday Toulliou warned that Brexit will affect travelers with British passports seeking to enter France since they will no longer be EU residents. He spoke after British lawmakers rejected a divorce deal laying out rules for Britain’s transition out of the EU. French fishermen are expressing fear that seafood supplies would be hard-hit if Britain leaves the European Union without a deal on post-Brexit relations with the EU. Fishermen from northwestern France heavily rely on access to British waters in the Atlantic Ocean, English Channel and North Sea, which now is granted and regulated by EU rules. The French committee urged European and French authorities to take “all necessary actions” to anticipate the potential impacts of a no-deal Brexit on fishing fleets and the sustainability of fisheries resources. British lawmakers have begun debating a motion of no-confidence in Prime Minister Theresa May’s government. Opposition Labour Party leader Jeremy Corbyn called for a confidence vote after the House of Commons overwhelmingly rejected May’s Brexit deal with the European Union. May has refused to resign, and is likely to win Wednesday’s vote with backing from her Conservative Party and its Democratic Unionist Party allies. If she loses, the country likely faces a snap general election. Irish leader Leo Varadkar says that it is now up to the British government to come up with alternatives to avoid an exit from the European Union without an agreement. Varadkar says that if Prime Minister Theresa May’s government is willing to shift some of its so-called red lines in negotiations, then the position of negotiators in the EU would also change. EU negotiator Michel Barnier also said Wednesday that if May shifts the red lines they will open the political declaration on future relations. Finnish Prime Minister Juha Sipila is urging all British citizens living the Nordic country to immediately register at Finland’s immigration service to make sure they receive a living permit in case of no-deal Brexit. He said the likelihood of a no-deal Brexit has increased as a result of the British parliament’s decision to reject Prime Minister Theresa May’s Brexit deal Tuesday. The Finnish government’s social benefits office Kela said there may be major changes to what social benefits British citizens in Finland may be entitled to in case of a Brexit without an agreement, but did not provide details. French wine and spirits makers are warning that Britain crashing out of the European Union without a deal could hurt trade. According to the federation, called FEVS, Britain is France’s second-biggest destination for exports of spirits and wine and France imports a large quantity of British spirits. A top official at the French presidency said Europeans would make no concessions on Brexit that would damage the European Union’s core principles, including the integrity of the single market. The French official said that any request by Britain to seek an extension to the Brexit timetable would need to come with a new plan and a strategy from the British government. The official was speaking anonymously in line with the French presidency’s customary practice. He added that “nobody believes” the European Union would now be “weak and febrile.” ”And I don’t think Theresa May believes it”, he added. The French parliament votes on Wednesday afternoon to adopt preparatory measures to get the country ready in case of no deal. Russia’s foreign minister says Moscow isn’t taking any sides in the controversy over Britain’s exit from the European Union. Sergey Lavrov was speaking Wednesday at a news conference a day after the British parliament overwhelmingly rejected British Prime Minister Theresa May’s Brexit deal. Lavrov reaffirmed that Russia would stand ready to develop ties with Britain and the EU irrespective of the outcome of talks on British departure from the EU. German Chancellor Angela Merkel says there’s still time for negotiations between the European Union and Britain over its departure from the bloc. Merkel says that she regretted the decision by British lawmakers to oppose the agreement negotiated by British Prime Minister Theresa May and the EU. Bank of England Governor Mark Carney says financial markets appear to have taken a fairly benign view of the big defeat of Prime Minister Theresa May’s Brexit deal and seem to believe Brexit may be delayed. Carney made clear that wasn’t necessarily his view and that he wouldn’t put too much stock on short-term movements in financial markets. But he also said the move higher in the pound could be an indication that investors think the date when Britain leaves the European Union will be extended. At present the country is due to leave on March 29 but the government could ask the EU to extend that date. On Wednesday, the pound was up 0.2 percent at $1.2888. Germany’s foreign minister says “the time for little games is now over” on Brexit because the clock is ticking to avert a hard rupture between the U.K. and the European Union. 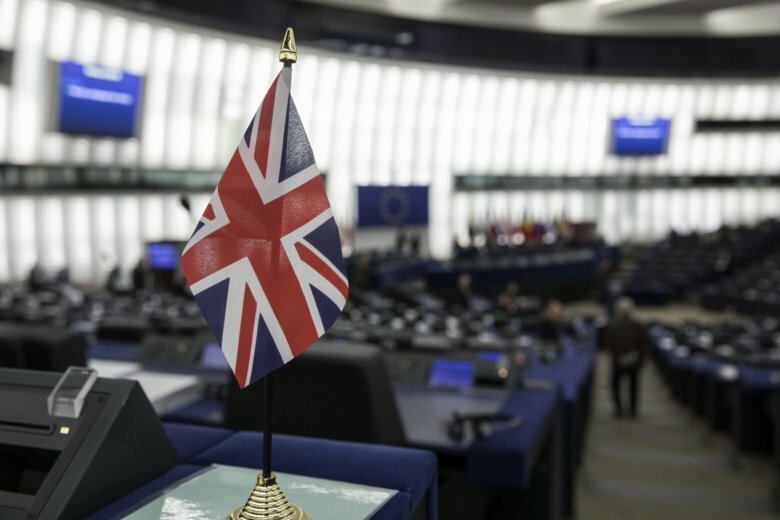 Though uncertainty surrounding Britain’s exit from the European Union remains elevated, many in the markets think May’s defeat by lawmakers Tuesday evening makes it less likely the country will crash out of the bloc on March 29 with no deal. Traders will remain focused on developments in Parliament later, where lawmakers will vote on whether they have confidence in the government. The BDI said trade in goods and services between Germany and Britain amounts to about 175 billion euros ($200 billion) a year. Britain’s envoy to Germany says the European Union might help avert a “no-deal” Brexit if it’s prepared to shift its position on the terms of future border controls with Ireland. Britain’s ambassador in Berlin, Sebastian Wood, says that the current “backstop ” solution is opposed both by U.K. lawmakers who want the country to leave the EU, and those who don’t. British Prime Minister Theresa May faces a no-confidence vote a day after Parliament rejected her Brexit deal by an historic margin. May is battling to save her job after staking her political reputation on a last-ditch effort to win support for the divorce agreement she negotiated with the European Union. Though defeat was widely expected, the scale of the rout — 432-202 — was devastating for May’s leadership. Still, most analysts predict May will survive because her Conservative Party and the Democratic Unionist Party, which supports it, are expected to vote against the motion. European Union Brexit negotiator Michel Barnier says the bloc is stepping up preparations for a chaotic no-deal departure of Britain from the bloc after the rejection of the draft withdrawal deal in London left the EU “fearing more than ever that there is a risk” of a cliff-edge departure. Barnier regretted Westminster’s massive rejection of the deal he negotiated with the government of British Prime Minister Theresa May and said that any future deal would still have to include approving the withdrawal agreement. He said that a linked political declaration offered “possible options” for further talks.